How to Bring a Folding Bike onto an Airplane without Paying Extra Fees? 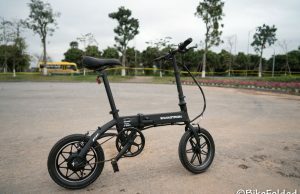 Many people are using a folding bike for multimodal commuting by carrying it onto a bus, train or subway. However, you probably don’t know that you can take your bike on an airplane as well. This is extremely helpful when you travel because you will always have an efficient means of transportation alongside, you don’t need to rent a car and don’t rely on public transportation for short trips. Riding a bike will also help you exercise and most importantly, that’s the most interesting way to discover a strange city. I’ve traveled overseas a lot with my folding bicycle and I really love the experience. In this post, I’m going to share some tips to pack your bike properly and avoid extra fees. 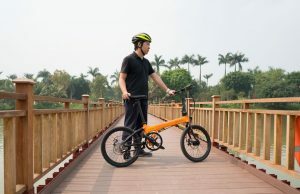 The majority of folding bikes are equipped with 20-inch wheels, so they are too big to carry on. Your bike might not get through the security screening process easily. Many were held at the security gate for further investigation. 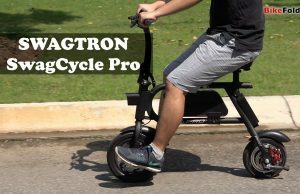 Even when you have a small bike with 16-inch wheels like Brompton, there is a chance that you will have to check it in at your boarding gate, especially when you fly in small airplanes. I won’t be surprised if you receive a broken bike at destination. I know that some people were successful bring their bikes on board and put them in the overhead compartment. However, it is too risky and I don’t recommend you to do so. How to Pack your Folding Bike and Avoid Fees? Now you know that checking in your bike is a better and safer solution. So, how to pack it properly to avoid damages and extra costs? Many people bought a folding bike bag or specialized hard case but they are totally a waste of money. While polyester bags are too thin to protect your bike, the expensive hard cases like Brompton B&W Case or Dahon Airporter Suitcase can keep small bikes only and they don’t have TSA locks. Besides, I prefer bringing my bike with 20-inch wheels, so the cases couldn’t help. 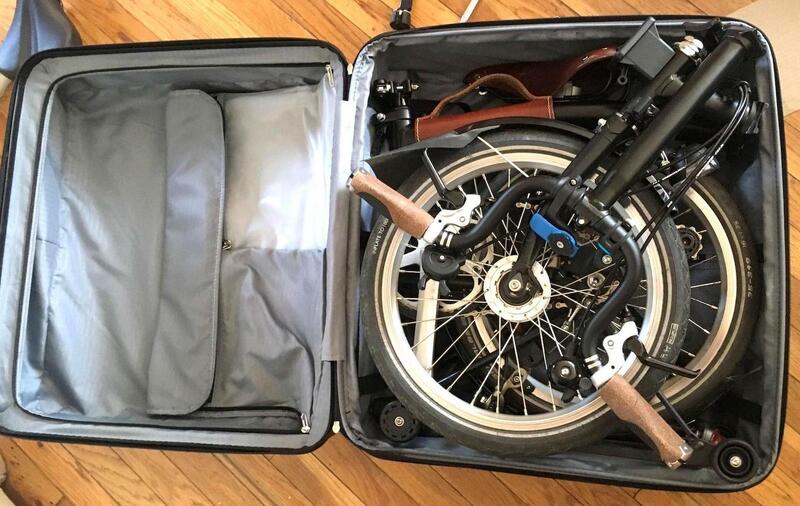 If you have a Brompton bike, you can easily remove the seat post and put everything inside a large suitcase like the Samsonite Stryde Hardside Glider Long Journey or Delsey Luggage Helium Aero Expandable Spinner Trolley. Make sure to add some padding and cover your bicycle. You still have rooms left for some clothes, tools, or spare tubes. In case you have a bigger bike, I’d recommend you to put it in the original packaging. This is how I pack my folding bike and I’ve never had to pay a penny for oversize or overweight luggage although the box exceeds free baggage allowance. 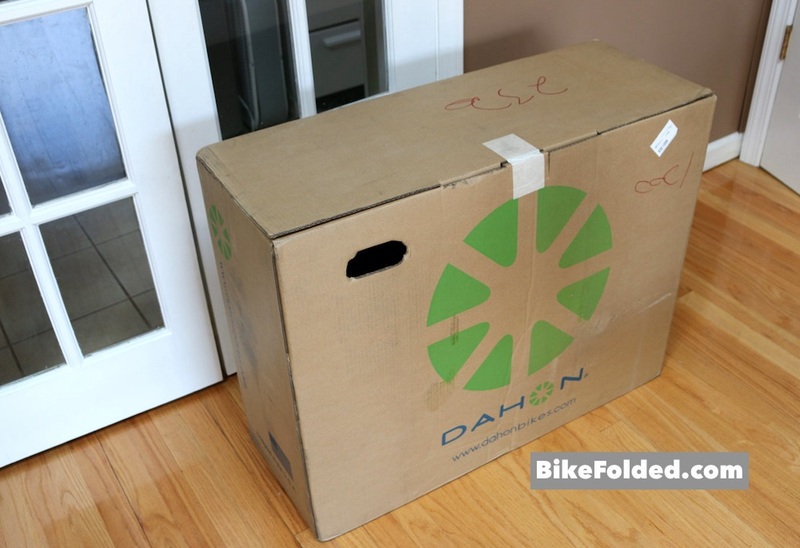 The dimensions of a Dahon’s box are 33″ x 12″ x 25.6″, so the total outer dimensions measure over 70 inches while the allowance for standard baggage is just 62 inches. I flew with some airlines like Eva Air, Qatar Airways, Nippon Airways, Korean Air, Thai Airways or Singapore Airlines, and they’ve never charged me anything. Sometimes, the staff at check-in counters will ask you if that’s a bike inside the box, you’ll just need to confirm and you’re good to go. Probably the size difference is too small for the oversize surcharge. After checking in, you can forget about your bike, hit the boarding gate and probably enjoy your time during transit as you don’t have to carry a 20 lbs bike with you all the time. That is my advice for traveling with a folding bike. Share with us your experience in a comment below. 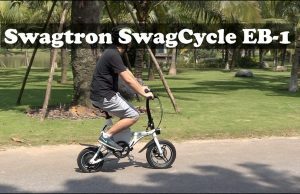 I flew to Cancun with my Dahon Boardwalk. Didn’t pay any fees. KLM Norwich UK have just charged me £173 return for a Brompton folded in its bag. What do you do about flying back? 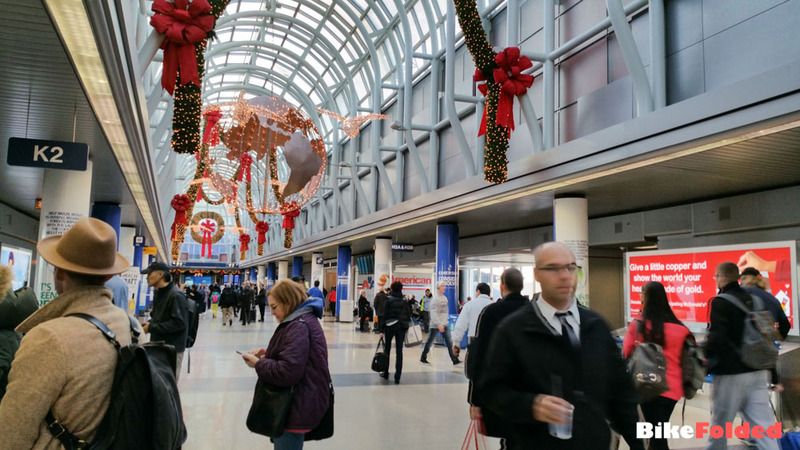 How do you manage the case when you get to the airport? Just carry the box/suitcase with you, that’s not a problem. It might be a little inconvenient if you ride a bus or subway. If that’s the case, you might want to put everything in a suitcase since it’s easier to roll. 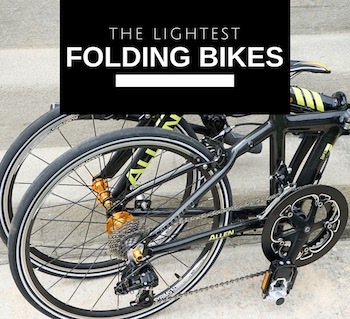 What about full sized folding bike? Like the one with 24 or 26″ for instance. well it is difficult to carry these hard boxes when you are travelling around on a bike so i do not understand what peeps are saying about carrying the case with you…. Instead of lying just tell them it’s bicycle parts which doesn’t incur an added fee at all…and, you’re not lying. I tell them bike, airline want to charge $120 USD. 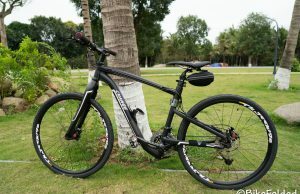 may i asked some questions regarding this dahon box if have here available in abu dhabi uae?and which mall? i need to buy for my bicycle too. 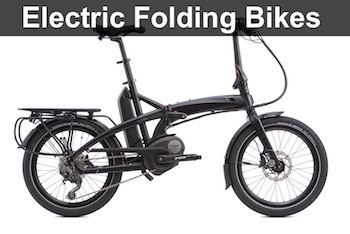 I have a SoloRock 3.0 folding bike with 14″ wheels. It fits well into a 29-inch suitcase, along with a folding trailer attachment for my suitcase. I check the bag, fly to my destination, and then I can unfold the bike at the airport, assemble the trailer, and bike to the hotel (if it’s not too far away). More likely, I wait until I get to the hotel to unfold the bike. And they never charge me for a bicycle fee because the 29-inch suitcase is a standard size and standard weight. But even with 14″ wheels, it still won’t fold up small enough for carry-on luggage (9x14x22). I have yet to find a bike that will fold up that small. However, if you remove both wheels from my SoloRock, the frame and the handlebars could fit into one carry-on while the seat post and the wheels could fit into another carry-on. Unfortunately, they only allow one carry-on :-/ I’m still working on a solution. I can carry my SoloRock onto a bus or a train, though. It folds up approximately 10x16x27. I have carried it onto city buses and also Amtrak. Amtrak charges $5 for a regular bike but they let me carry on the folding bike for free. Is it possible to take a folding bike on board and place it in the seat next to you, if you purchase tickets for two seats? No, it’s not possible. It’s too dangerous for other passengers. I have an ebike that folds to 34x24x16. I ended up buying a military case that just barely fits it but that sucker is huge and heavy. If I pack the battery in my carry-on I can cut the weight to qualify for standard airlines weights. You’re not supposed to put Lithium batteries in the cargo hold anyway. I drilled a hole for an axle and used two hard rubber hand cart wheels from Harbor freight, attached a tow bar and now have a carrying case as well as a useful cart for the bike when I travel.